How much is real estate close to TTC Stations? Torontonians may have their fair share of gripes about our local transit system – but love or hate the TTC, the truth is, it pays to own real estate with easy access to a subway or LRT stop. 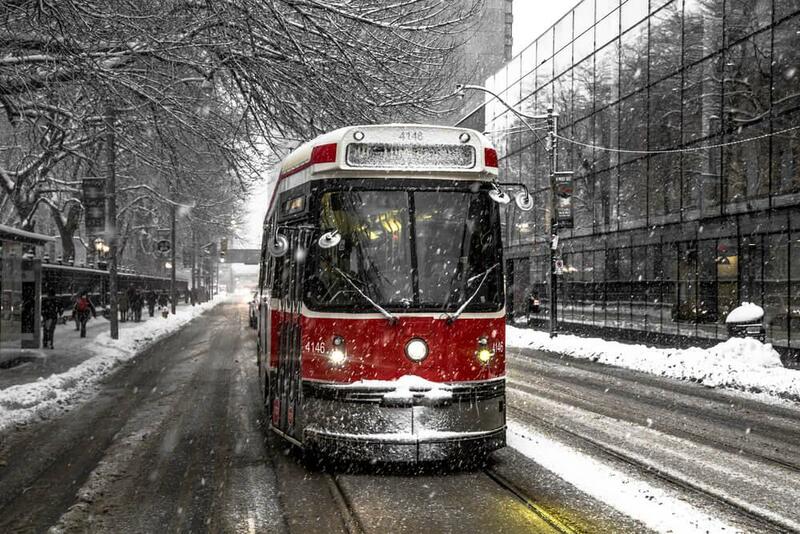 Properties in close proximity to public transit often command a price premium, and their location is typically used as a leading selling feature when listing a home for sale on the Toronto MLS. And, while living steps from the subway can certainly make for a more convenient daily commute, such neighbourhoods also tend to be home to booming local businesses and amenities, and often have desirable walk scores. How much more could buyers expect to pay to live within a stone’s throw of the TTC? To find out, Zoocasa analyzed average 2018 house and condo prices in neighbourhoods within an 800-metre radius of a subway or LRT stop – approximately a 10-minute walk. Home prices were collected from the Toronto Real Estate Board for the time period between January 1 and December 31, 2018. 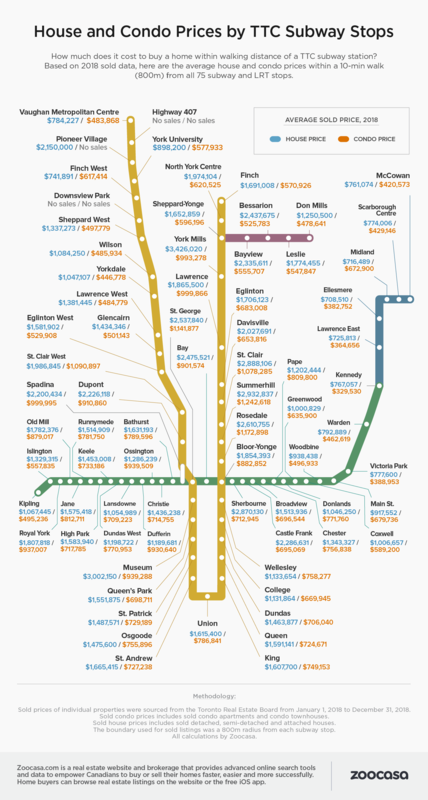 The findings reveal homebuyers looking for the most affordable homes should head east, specifically along the Scarborough Light Rapid Transit line; there, houses (including detached, towns, and rowhouses) cost, on average, in the $740,000 range by Ellesmere, Midland, and Lawrence Park stations. Condo affordability was also best in the east end, particularly close to Kennedy station, where subway lines 2 and 3 converge. There, the average multi-family home costs $392,530. Lawrence East and Ellesmere LRT stations also ranked in the top three for affordability, with nearby condos costing $364,656 and $382,752, respectively – well below the city-wide average of $558,728 TREB reported in the fourth quarter of the year. The most expensive homes in Toronto, not surprisingly, were found along the Line 1 subway route, which runs through several higher-income neighbourhoods. Houses near York Mills fetched the most - an average of $3,426,000, followed by Museum at $3,002,150, and Summerhill at $2,932,837. Even condos located in the Yonge corridor cracked the $1 million threshold; the most expensive in the city can be found by Summerhill, at $1,424,618 per unit, Rosedale at $1,172,898, and St. George, at $1,141,827. Penelope Graham is the Managing Editor of Zoocasa.com, a real estate website that combines online search tools and a full-service brokerage to let Canadians purchase or sell their homes faster, easier and more successfully across the nation, including condos for sale in North York and Etobicoke condos for sale. Home buyers and sellers can browse listings on the site, or with Zoocasa’s free iOs app.